Mix up yummy smoothies in this brightly coloured Brenda the Blender just like Bing and Flop do! As Bingsters sort & play they'll have fun while improving their fine motor skills and become more familiar with shapes and colours. Brenda the Blender features a shape-sorting lid & introduces little ones to colours, shapes and matching play. 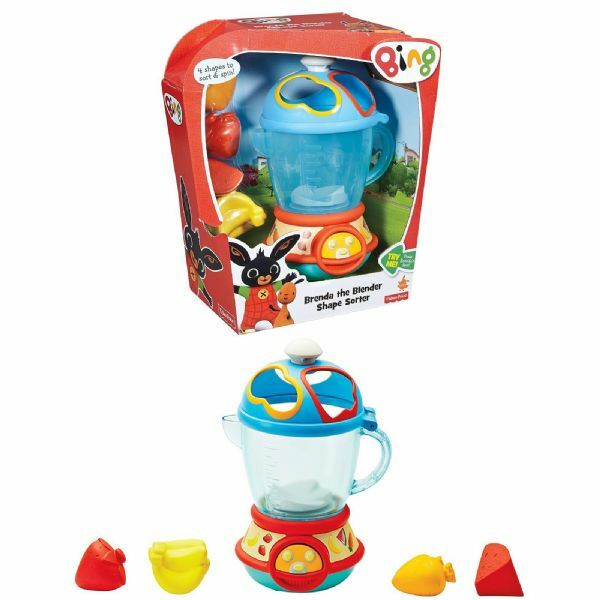 Once Bingsters have created their "shape-smoothie" they can press the button to watch the shapes spin inside!